April Sale: Get 10% Off on custom ornaments today! Offer ends May 1st. 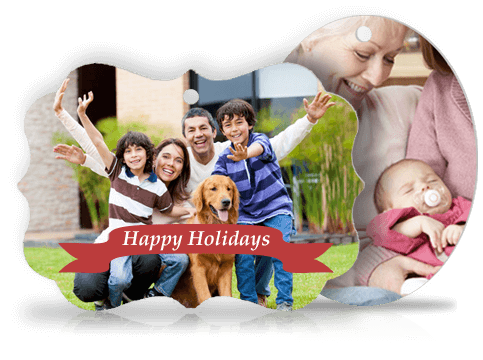 Turn any photo into an amazing custom ornament. Quality Metal Brushed metal brings out vibrant colors in your photos. Fast Shipping Ornaments typically ship in 3 to 4 business days. Great Prices Unbeatable prices for custom ornaments that last you a lifetime. Make a Collage Ornament Upload unlimited images to your ornament and place your images to get the perfect arrangement. Add Your Text Add custom text to your custom ornament in a wide range of styles and colors. Use a Template Use a popular template and add your own images and text..
Nell T. in Louisville, KY said... I got a family picture turned into a custom christmas ornament for the christmas tree and I love it. D. Harvey in OH said... The christmas ornaments I ordered from OpenPrints are amazing. The picture quality is just like looking at it on my computer. Chase B in Des Moines, IA said... Both my posters and ornaments got here fast and are of top quality. Kat C. in Minneapolis said... I got a family picture turned into a custom christmas ornament for the christmas tree and I love it. J Chung in Beaverton, OR said... Super job on my canvas prints and the ornaments are so nice! Stephen S. in Anaheim, CA said... I made an ornament of each of my three kids as a present to my wife. They look great and needless to say she loved them. Will T. in NC said... One of my custom ornament prints was damaged in shipping and OpenPrints got me a replacement shipped the next day. I will recommend OpenPrints to everyone. M. Logan in Nevada said... I had custom ornaments made with the seating arranements for my wedding. OpenPrints really came through and delivered! We use a special process to eliminate quality loss in picture scaling and we accept all filetypes, including jpeg gif png tiff psd ai doc ppt zip xls and many more! How long until my ornament arrives? Custom ornaments usually ship within three to four business days. 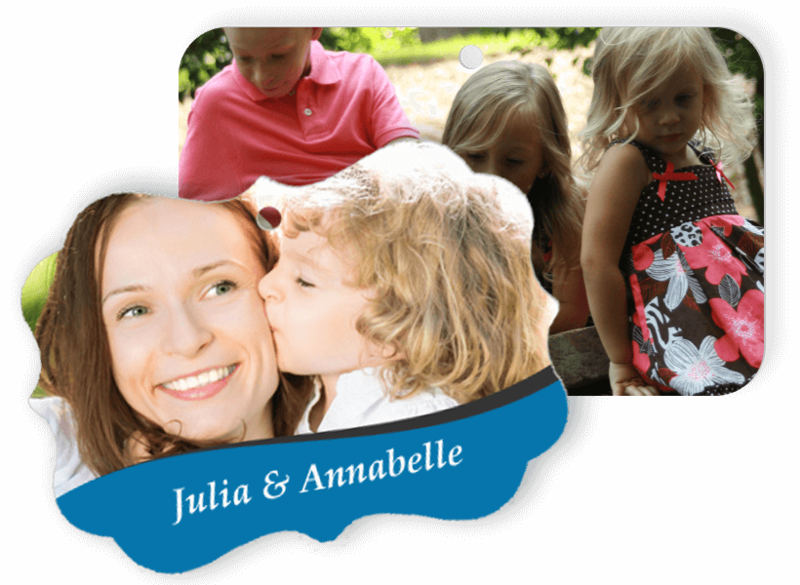 We use high quality brushed metal ornaments and transfer images via dye sublimation heat transfer to get great final image quality. Custom posters are perfect for not only professional photographers, but several others as well. Whether you have a business or event to promote, custom promotional banners are right for you. OpenPrints is your home for flawless metal prints to give your home or business the right touch.